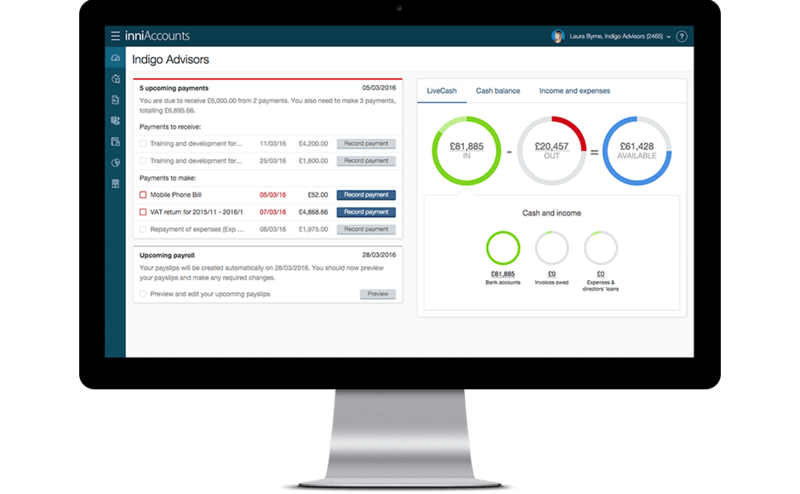 inniAccounts allows you to create professional invoices for your clients in seconds. Invoices are a crucial part of any businesses records as they contain important information about services, taxes and payments. Creating invoices in inniAccounts takes a matter of seconds once you’ve set up your contract and made entries in your Quick Entry area. From the invoicing page click on the new invoice button and select your contract to pre-populate a new invoice with information you entered in the contract settings area. If you want to use an existing invoice to create a new invoice, view the invoice you want to duplicate and click the copy button at the top. The invoice editor will be displayed where you can see your client’s details and add items to your invoice. The invoice number is automatically generated and the invoice address and description is also pre-populated. The payment due date is displayed on the invoice and is also used to show a reminder on your company’s dashboard. Are you still waiting for your VAT registration? If you are awaiting your VAT registration to be confirmed by HMRC, you will need to raise your invoices in a slightly different way. The guidance below still applies when managing your invoices but please also read carefully this article on Managing invoices whilst waiting for VAT registration. You can now use the add invoice line button at the bottom of the screen to add lines to your invoice. Manual line – allows you to create a manual invoice line, just select the category and enter the description, quantity and unit price. You can edit the description, quantity, unit price and VAT rate (if applicable) for any invoice line by clicking on the edit button next to the line. Click on the green check when you’re done. You can delete an invoice line by clicking on the blue cross. inniAccounts makes it easy for you to invoice clients for everything you’re due – time, expenses and mileage. Make sure you’ve set up your contracts – see the link at the bottom of this page for more detail. Once you’ve finished editing your invoice click on the save button at the top of the page. You’ll be taken to the invoice summary page where you can download a PDF copy of your invoice or email it to your client. Click on Invoicing in the navigation bar and then select invoices. Cannot delete or edit an invoice? You can’t delete or edit an invoice if you’ve already received payment or if you’ve included it on a VAT return. You’ll need to either delete the bookkeeping entry for it or delete the VAT return (assuming you’ve not filed it with HMRC). Once you’ve done this you can delete or edit the invoice. You can download a PDF version of your invoices, which you can then either file or print. Click on the Invoicing in the navigation bar and then select invoices. Locate the invoice you wish to email or download. If it is not visible, check that you have them all displayed by using the Status pull down. Click on the required invoice. To email the invoice, click on the Email PDF button at the top of the screen and enter the details in the dialogue box. To view, download or print the invoice, click the View PDF button. The invoice will be displayed from which you can save or print. Once you’ve created an invoice it will appear in two places – on the list of pending payments on your bookkeeping page and when you are approaching your due date it will also appear on your dashboard as a reminder. You can mark the payment receive for your invoice in either of these places. When you click on a pending payment to mark it as paid, you need to enter the details about the payment. If you have your bank statement to hand and have confirmed that the details match exactly to your statement (date and amount), you can click the Match button. If you don’t have your bank statement you can just click save and reconcile it later. You can also enter a part payment for an invoice – inniAccounts will automatically keep track of the outstanding balance. Is it possible once a payment has been marked as paid to change it back into pending payments? I know if it is not confirmed tidiest affect the bookkeeping it would just be nice to ensure it is clear the payment is still out-standing. If you wish to move a transaction back to the pending payment section, you can click on the item then press the delete button. This will remove it from your statement and place it back in the pending payment area for you to confirm at a later date.